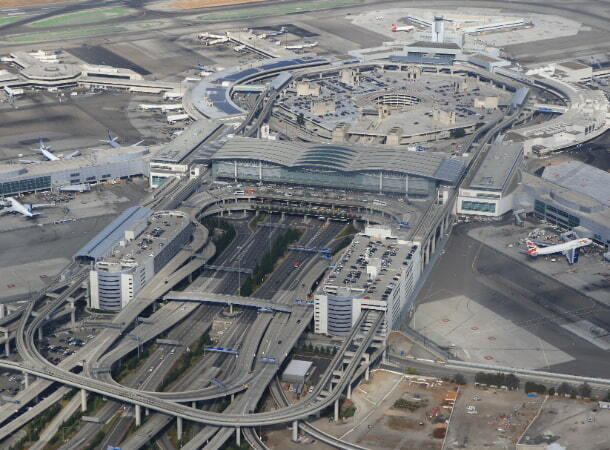 Have an upcoming flight at the San Francisco International Airport? Let us give you a ride! National Charter Bus offers a variety of charter bus and minibus rental options and top-notch customer service, so we can find the perfect ride plan for you in no time! With minibuses available for small families on the go and full-sized charter buses available for school trips, corporate events, and more, there’s always a motorcoach that best suits your group’s size and desired amenities. Our dedicated team of reservation specialists is available 24/7 to assist you in your transportation to the airport, around San Francisco, or anywhere else nationwide! Call 415-226-7853 today for a free, no-obligation quote. If you’re planning any form of long-distance travel on the Pacific Coast, chances are you will pass through San Francisco. Located a mere 13 miles from downtown, the San Francisco International Airport is one of the most frequented travel destinations in the Bay Area. It’s five terminals— three domestic and two international— accommodate 55 million passengers yearly, making it one of the top North American launch points for nonstop flights over the Pacific. The airport services a total of 62 airlines, including major companies like Alaska Airlines and United Airlines. 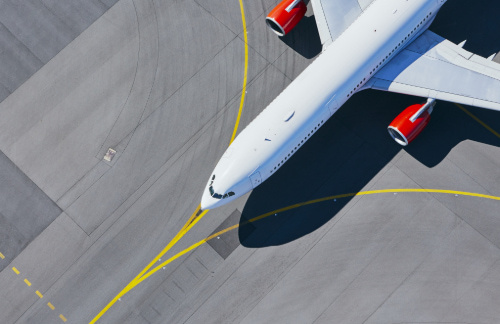 Over the years SFO has won a variety of awards for their knack of innovation, from interactive maps, to accessible social media presence, to long-term plans for eco-friendly sustainability. No matter the size or schedule of your group, we can find a bus to accommodate everyone. Are your relatives coming into town for a wedding and need a small shuttle to pick them up from the airport? We charter 18-, 20-, and 25-passenger minibuses that are perfect for quickly transporting small groups through city traffic. 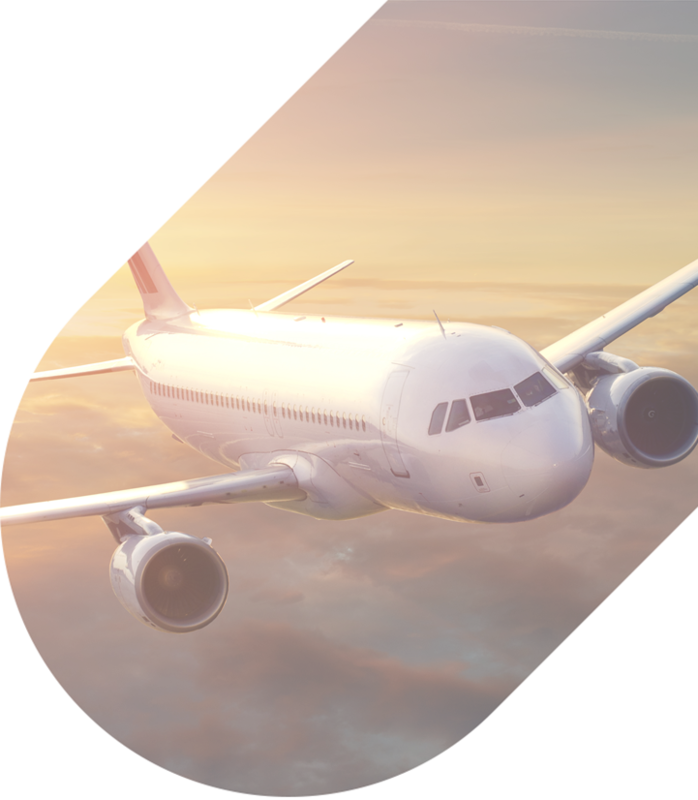 Is your sports team flying to the championship game, and you need a ride for your entire roster? Let us arrange a fleet of charter buses to make sure everyone arrives at the gate on-time. Our reservation specialists are standing by 24/7 to provide you with a quote personalized to your trip. Before you call, consider which amenities will be most beneficial to your group: WiFi, power outlets, air conditioning, ADA accessibility, or any other features that you might need. We’ll do everything in our power to make sure you have comfortable ride to the airport! 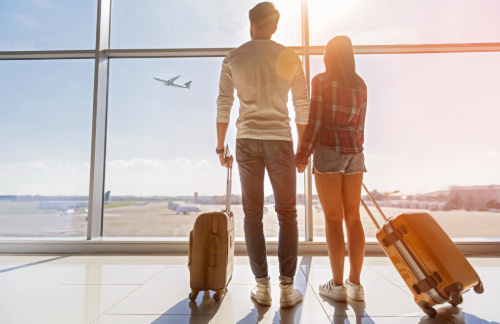 We understand that airports are a source of anxiety and frustration for many travelers, especially when coordinating transportation for large groups. However, planning ahead with a personalized shuttle rental will save your group of flyers a lot of time and energy. When you book through National Charter Bus, we handle some of the headaches that make airport travel stressful so you don’t have to. From pick-up to drop-off and everything in between, we’ll coordinate it all so you can focus on the journey ahead. Each charter bus and minibus rental includes a trained and licensed driver who can coordinate pick-up and drop-off times and locations at SFO or anywhere along you travels in San Francisco. Your passengers’ safety is our top priority, so you can trust that your professional driver will deliver your group to the terminal without a hitch. The drivers in our network must pass a series of background checks before they get behind the wheel, and we only charter motorcoaches with the most up-to-date safety features. These factors, combined with ample storage space for all your group’s luggage, make private bus transportation the most convenient and efficient method of travel to and from the airport. Unlike public airport shuttle services, a private bus rental operates on the schedule you set for it. No more waiting around at the bus stop for an overcrowded shuttle. Instead, hop on your private ride whenever it best suits your itinerary, and your driver can take your group wherever they need to be. We can provide quality transportation solutions across San Francisco, to other California cities like San Jose, Irvine, or Los Angeles, or even across state lines to Phoenix or Las Vegas. Of course, your San Francisco transportation needs do not end once you leave the airport. Luckily, a private bus rental can also cover all the transport services you need while you’re in town. No more coordinating carpools or struggling to navigate public transportation. Plan out your ideal itinerary beforehand, and National Charter Bus will drop you off curbside to all your dream San Francisco destinations. Whether you need to shuttle everyone from their respective hotels to the city’s best restaurants or transport your entire family to Muir Woods Nature Preserve for a family reunion, we’ve got the perfect ride plan for you. What are you waiting for? Now is the perfect time to schedule your customized shuttle to the San Francisco International Airport. We guarantee to streamline your San Fran travel plans with a personalized bus rental. When you call 415-226-7853, a reservation specialist will be happy to handle your transportation around The Bay so you can make the most of your trip. Call today!